For the love of all things plaid, now you can have a plaid vest. 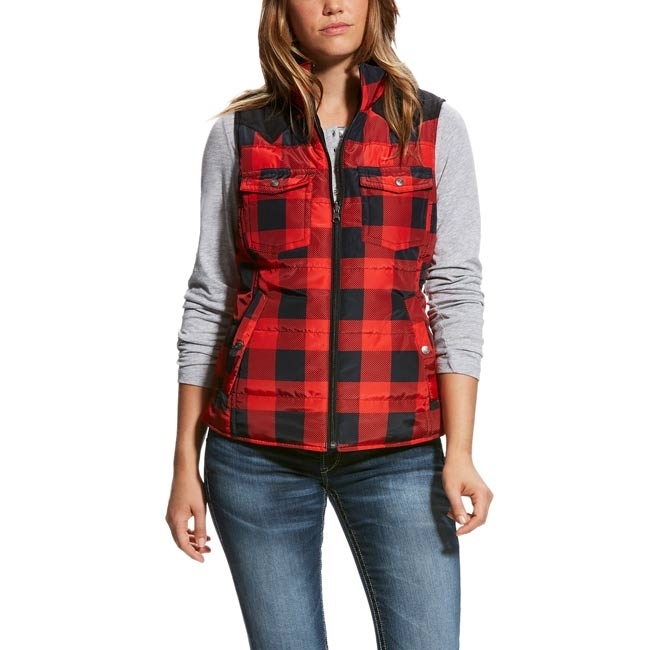 This Ariat Women’s Buffalo Plaid County Vest is a cute plaid vest you will love. It has a wonderful “Salsa Buffalo Plaid” pattern, a detachable fur collar, and snap chest pockets. Its lightweigh insulation technology leaves you comfortable and warm without being bulky. Seriously, what more could you want? CHEST 32-33" 34-35" 36-37" 38.5"-40 41.5-43" 45-47"
WAIST 26" 27-28" 29-30" 31.5-33" 34.5-36" 38-40"
LOW HIP 36" 37-38" 39-40" 41.5-43" 44.5-46" 48-50"
SLEEVES 26-30.5" 30.75-31" 31.25-31.5" 31.75-32" 32.25-32.5" 32.5"